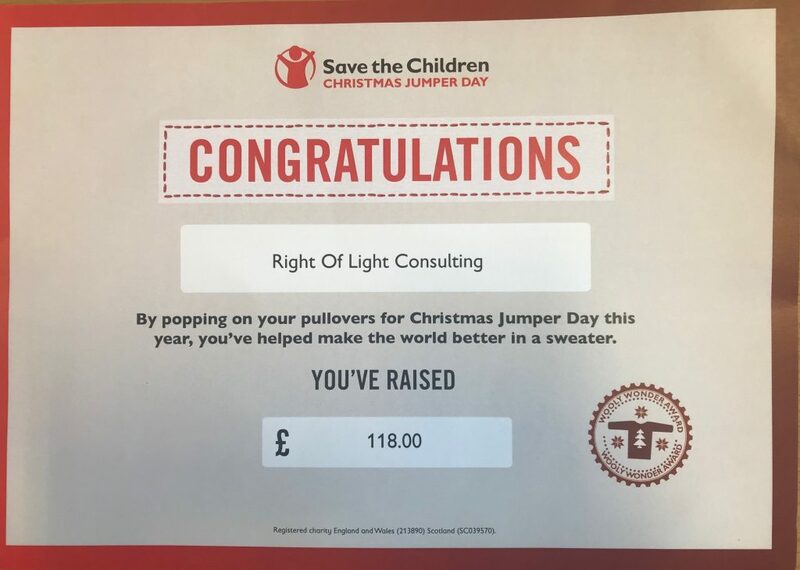 The Right of Light Consulting team took part in this year’s Christmas Jumper Day charity event in aid of Save the Children Charity. Combined with a team building breakfast, the team made their Christmas song choices for the Save the Children competition chart and wore their funniest Christmas Jumpers. We raised a total of £118.00. Well done all involved!! !